Abstract: The old question of “category mistakes” in the study of religion, so often debated in relation to “magic,” laid a foundation for the thoroughgoing reformulation of “religion” as a constructed and imposed category. Jonathan Z. Smith and many others have pointed to the peculiar insistence on religion’s non-reciprocal “uniqueness,” arguing that the obvious logical problems of this claim reveal a long legacy of sectarian defensiveness and analytical bad faith. Surprisingly, however, such discussions have not generally recognized that “unique uniqueness” is not uncommonly ascribed to a wider range of categories and phenomena. This talk examines the history of this a-logical claim in reference to both magic and music in early modern and later Western contexts, and considers the implications of categorical incoherence. 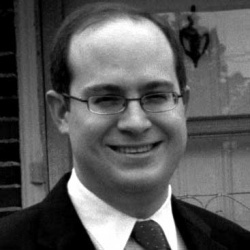 Christopher I. Lehrich is the author of The Occult Mind and The Language of Demons and Angels, as well as numerous essays and edited volumes, including On Teaching Religion, a collection of essays by Jonathan Z. Smith, and (with Robert A. Yelle and Courtney Handman) the forthcoming Language and Religion from De Gruyter. A student of Allen Debus, Jonathan Smith, and Anthony Yu at the University of Chicago, he taught religion, history of science, and college writing at Boston University for sixteen years.